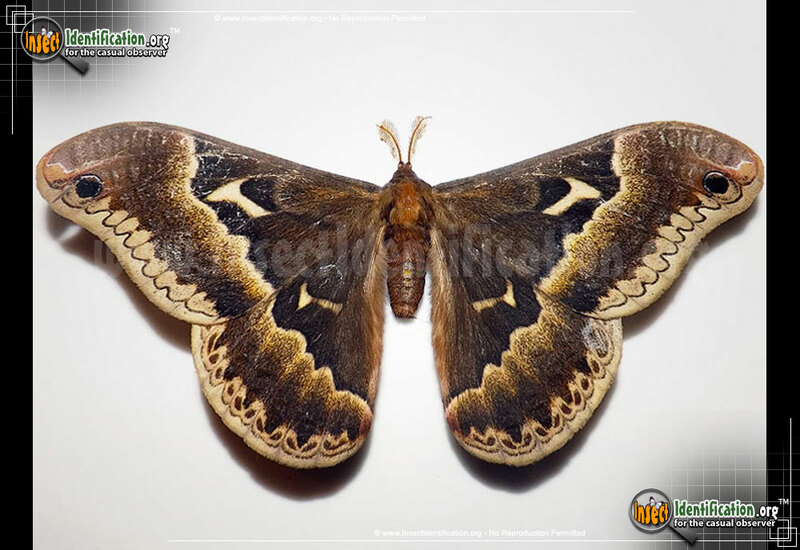 Detailing the physical features, habits, territorial reach and other identifying qualities of the Tulip-tree Silkmoth. Richly brown and decorative, the Tulip-tree Silkmoth impresses with its generous size, comfortably filling up the palm of a hand. Tulip-tree Silkmoths are members of a family known for its striking good looks as well as mammoth size. The green Luna Moth, Cecropia Moth, and Promethea Moth are all relatives. The similarity between the Promethea Moth and the Tulip-tree is remarkable. They look so alike, it is possible that the ones pictured are actually the other. They are both in the same genus, and both show a slight color difference between the sexes (dimorphism). 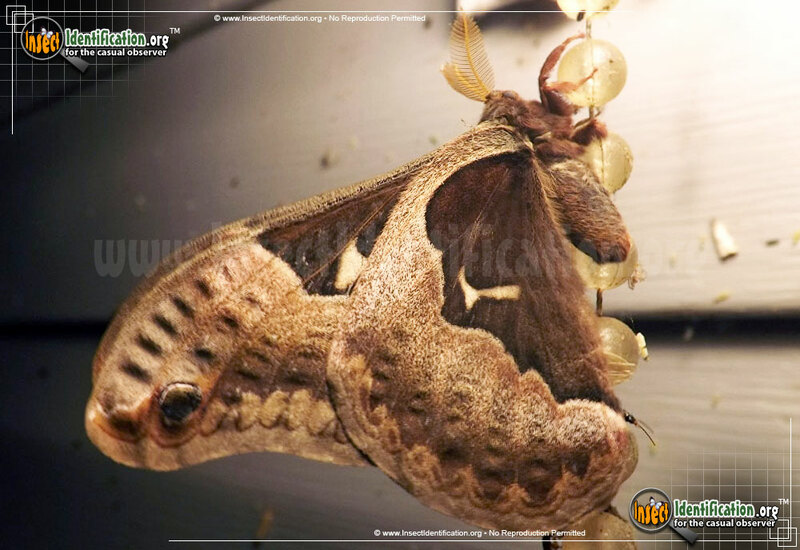 The Tulip-tree Silkmoth male is dark brown and the female is more orange. Both have a black eyespot in the outer corner of each forewing. All four wings have an ivory or white "T"-shaped mark. The wings are rounded or curved and have a dark brown scalloped line on their ivory-bottomed edges. The inner parts of the wings are all darker in color than the outer parts. The boundary between these sections is clearly outlined in ivory for males and in black for females with a golden gradient. The abdomen is short, hairy, and plump. The antennae are comb-like and wide in the middle, tapering at the tips. Larvae feed on the leaves of black cherry, sassafras, and tulip trees. The chubby green caterpillar has four red spurs by the head and one yellow spur by the rear. A pale yellow line near the feet runs the length of each side of the body. Adult moths do not eat and focus their time and energy on reproducing. They are attracted to lights at night.